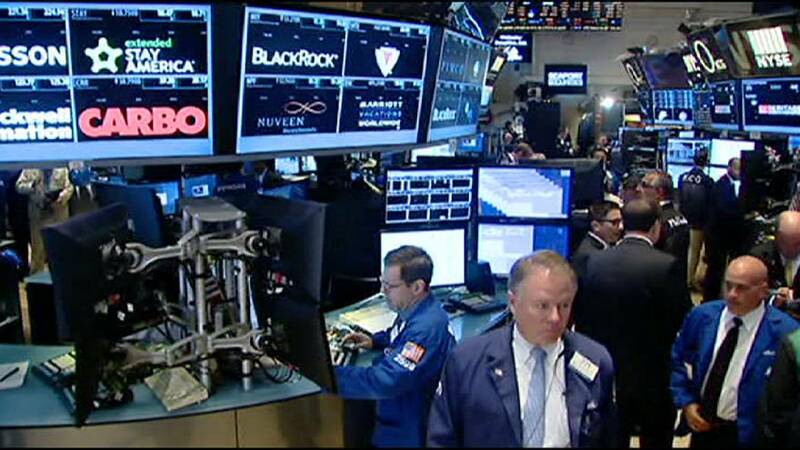 Wall Street opened lower on Monday but less sharply than expected, chiming with its peers in Europe. while the NASDAQ was down just a notch. A calamitous market response, expected in some quarters, failed to materialise on either side of the Atlantic. Charles Hall from Peel Finance thought talk of a market crash was overplayed. “I think the risk factor was never as great as people made out. It makes good headlines to say markets are going to crash. The reality was that this is a situation that has been going on for some time. It seemed like a crucial moment for a bit but we don’t seem anywhere near the end game at the moment,” Hall said. At lunchtime London was down less than half a percent, Frankfurt and Paris were down less than 1.5 percent a piece while Milan took the biggest hit, falling almost 2.8 percent and continued to drop in the afternoon. Many analysts had expected a closer result or even a win for the ‘Yes’ camp, to signal support for the lenders’ most recent bailout terms. The muted response came after Greek Prime Minister Alexis Tsipras promised an immediate return to negotiations with creditors following Sunday’s ‘No’ vote. Some thought the resignation of Greek Finance Minister Yanis Varoufakis would see an improvement in negotiations with lenders.